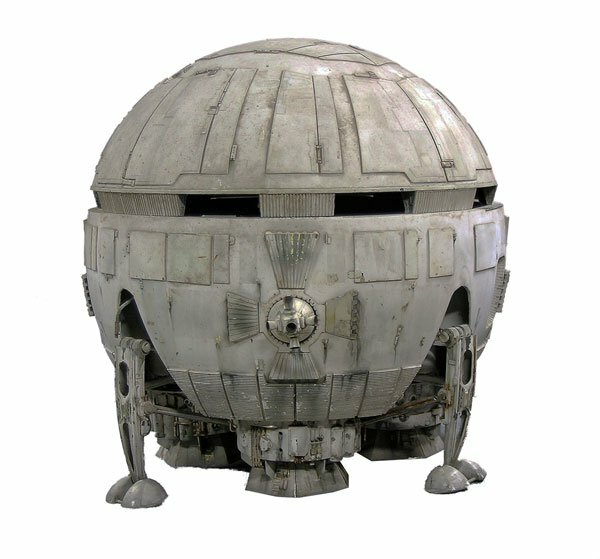 We've seen a number of amazing movie props go up for auction at ridiculous prices over the years, and have always wondered who has the hundreds of thousands of dollars it takes to win them all. Well, apparently the Academy of Motion Pictures Arts and Sciences can be categorized as having this kind of financial liquidity, as the organization has just paid $344,000 to own a piece of Stanley Kubrick's 2001: A Space Odyssey. So what exactly did the Oscars organization buy? It's the screen-used SFX model Pan Am Nuclear Powered Aries 1B Trans-Lunar Spherical Space Shuttle - a.k.a. the vehicle Dr. Heywood R. Floyd (William Sylvester) uses to transport himself from the International Space Station to the moon so that he can investigate the monolith that has been discovered there. The item was up for action at the Premiere Prop’s Hollywood Extravaganza Auction yesterday. For visual reference, you can see the full prop below. The prop is fairly large, with reported dimensions of 32" high, 27" wide, 28" deep and a diameter of 94". But it's not really the size of the object that makes it worth the $344,000 price that the Academy of Motion Pictures Arts and Sciences paid for it. What makes the prop special is that it's actually one of the few pieces from the production that actually survived once filming had wrapped. In order to prevent any of the sets or creations to be used for other movies, Stanley Kubrick ordered that everything be completely destroyed. That makes the Space Shuttle a truly rare thing to own - and it's understandable why an established organization in the film community like AMPAS would want to own it. Cool as it is, what's slightly funny about The Academy owning this piece of 2001: A Space Odyssey is that the organization didn't exactly shower Kubrick's movie with awards when it was released back in 1968. It was nominated for Best Director, Best Original Screenplay, and Best Art Direction, but wound up only winning Best Special Visual Effects. 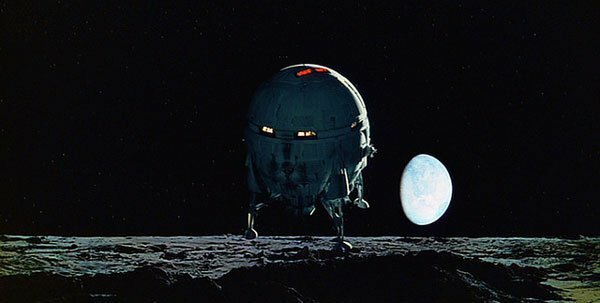 If you had the money, and knew the history of the 2001: A Space Odyssey set decoration, do you think you could excuse paying $344,000 for one of the more sizable props? Or do you think that it's just too much? Hit the comments section below with your thoughts!